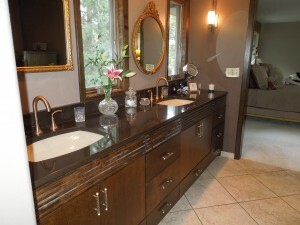 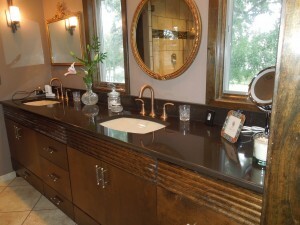 Home » Bathroom » Does Your Bathroom Need A Cambria Makeover? Does Your Bathroom Need A Cambria Makeover? 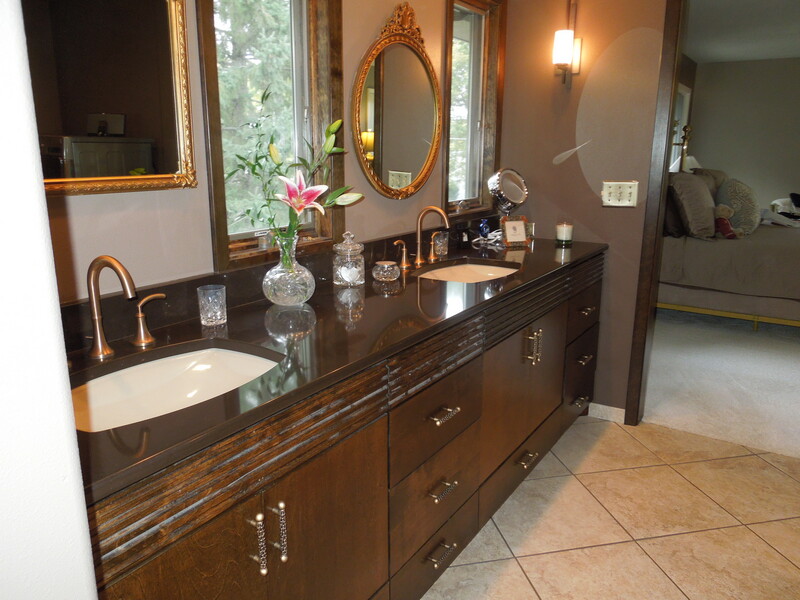 Take your bathroom from old and ugly….to new and beautiful with a Cambria makeover! 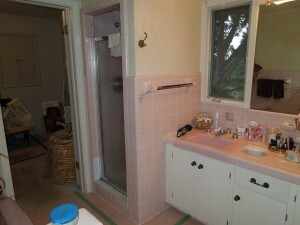 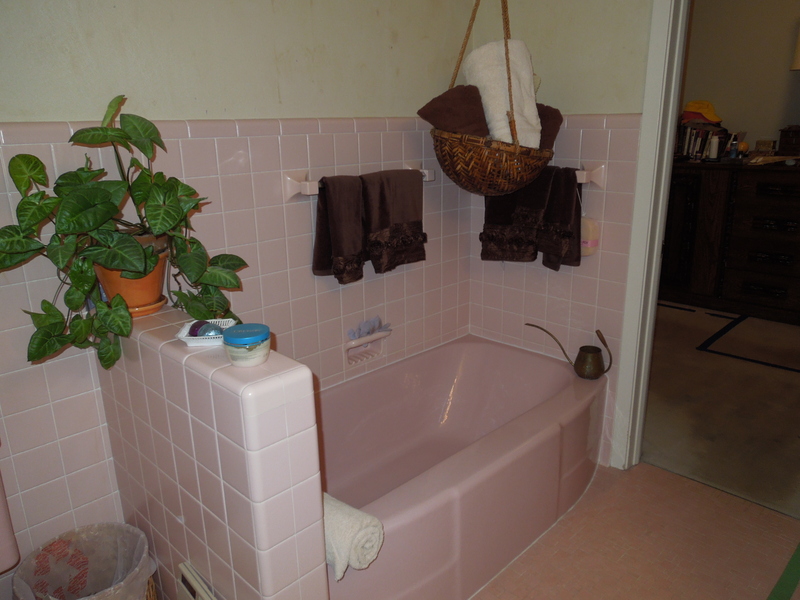 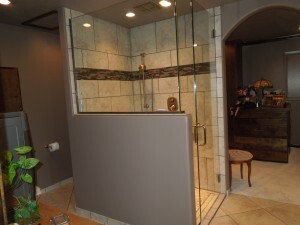 She gutted the bathroom and storage room – tore out the small shower, cabinets, and countertops. Added new enclosed cabinets to the old storage room for the master closet; and put a new tiled shower, cabinets, and Cambria Oakhampton countertops. And, she even had room to put the laundry facilities in her new master bath. 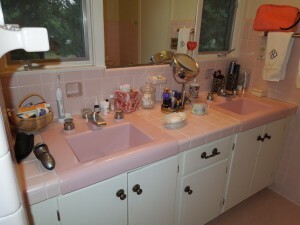 Her next big project in the kitchen in this 1950’s house. 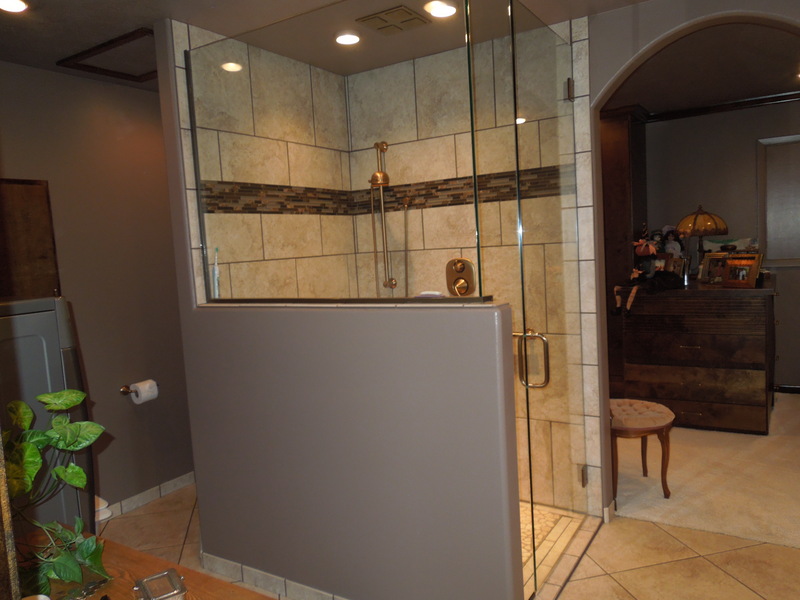 Stay tuned as the Stone Center and Cambria come together to help with this remodeling project.